HomeBlogTechnologyDenny Bicycle the Ultimate Urban Commuter Bike. 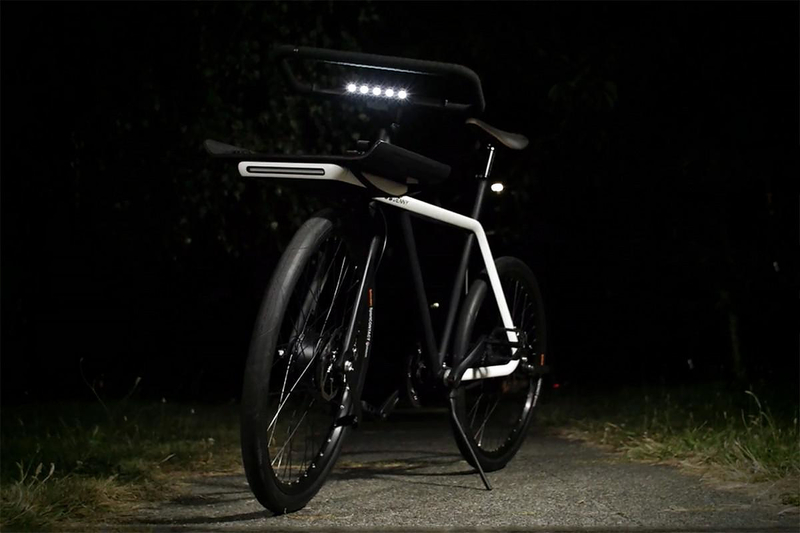 This awesome bicycle was designed to take part in “The Bike Design Project” a bicycle design competition by the non-profit group Oregon Manifest, which took place earlier this year. 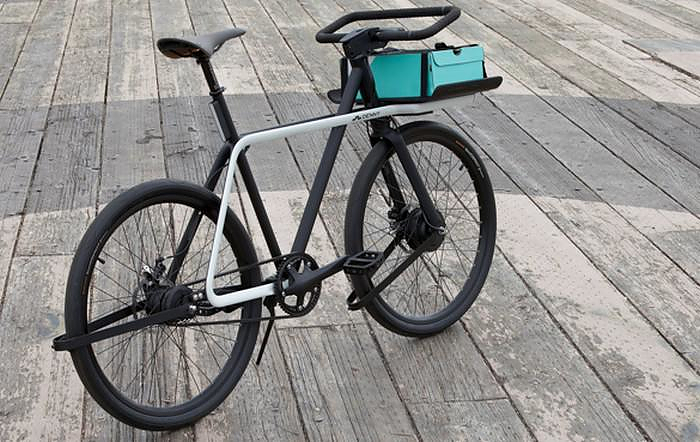 For this competition, five design firm/bike-builder teams representing five US cities took up the challenge to create their own take on the “Ultimate Urban Commuter Bike”. Sizemore Bicycle and Teague are both based in Seattle, USA, therefore the Denny Bicycle represented the city of Seattle, and was the winner of the competition. 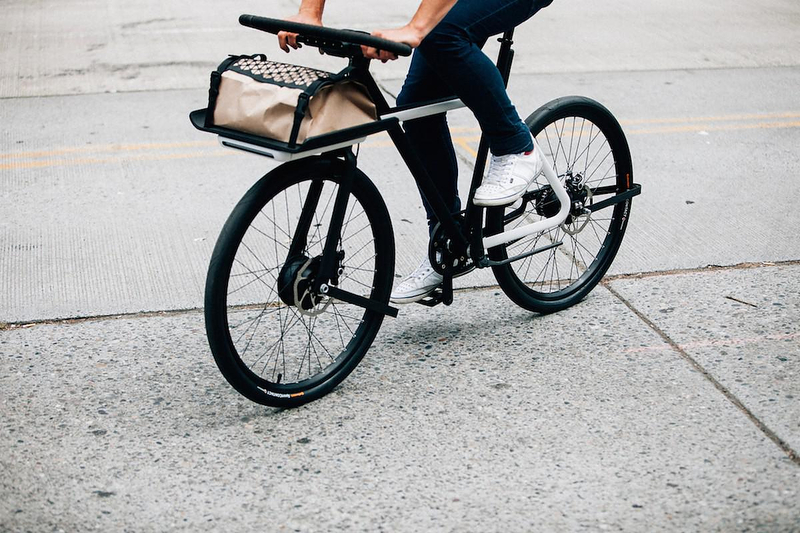 With its minimal and functional design, the Denny bicycle confronts and resolves most of the modern problems that anyone who is riding a bicycle as an urban commuter bike faces. Yet it goes further than that; Denny actually eliminates the need to change gears, to pedal on hillsides, even to carry a lock with you. 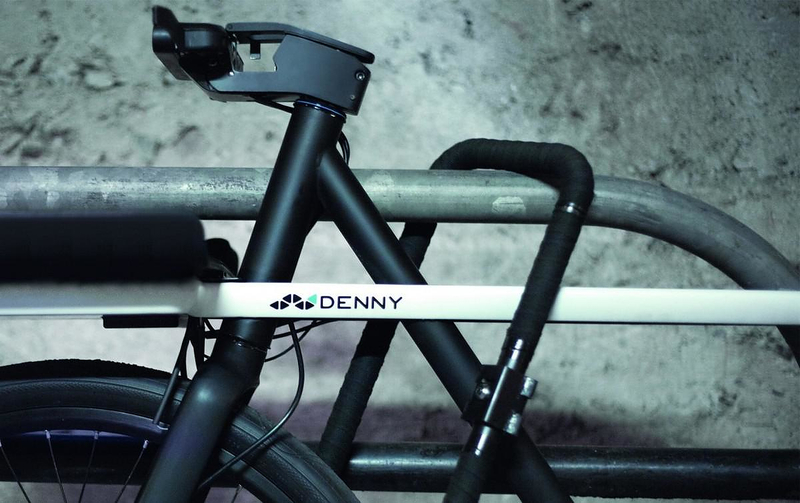 The Denny bicycle features a loop shaped handlebar that also works as a lock. The handlebar can be removed from the stem (by flicking a lockable mounting lever), pulled apart into two pieces, and then used to secure the bike, as a conventional lock. Additionally if the rider is in a hurry, he can also just leave the bar attached to the stem, and simply lock the handlebar to a nearby object such as a signpost. Given the thickness of the metal bar, this built-in locking mechanism is as secure as the highest quality conventional bike locks. Instead of regular fenders, which tend to be chunky and sometimes inefficient, the Denny Bicycle uses a cluster of rubber bristles that lightly brush against each tire. 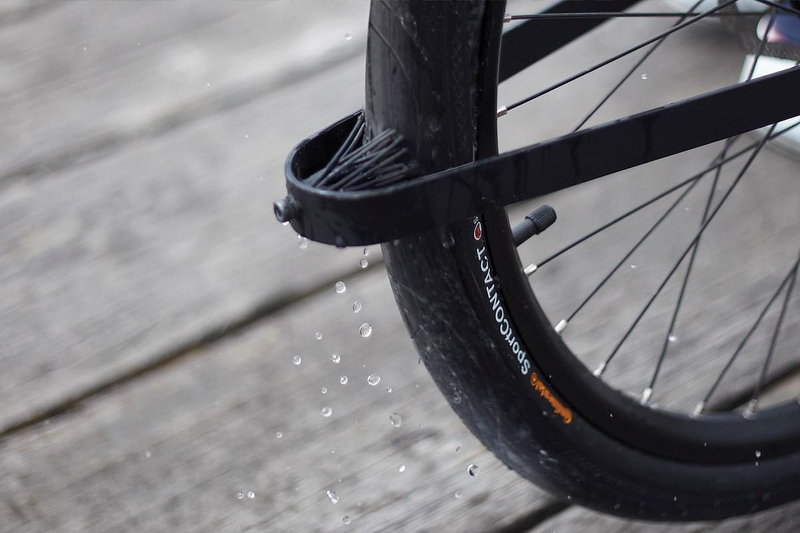 These look much better and work more efficiently as they shed water and mud off the tire before it can spray up onto the rider. 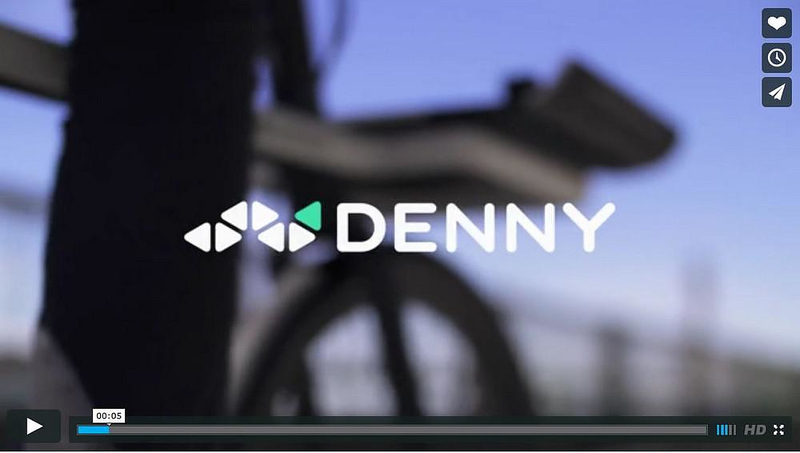 When riding the Denny cycling is made easier by a sophisticated power and transmission system. The Denny is equipped with a Shimano Alfine rear hub transmission, which shifts gears automatically based on the rotational speed of the front wheel. Effectively it is an automatic transmission, as the front wheel starts turning faster, the system selects a higher gear. There is also an electric motor built in the front hub. 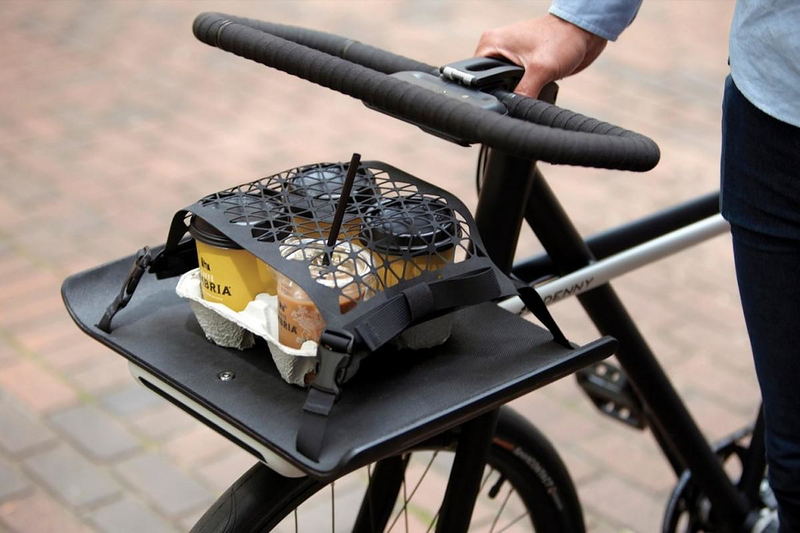 The rider can select what level of “assistance” he requires and the electric motor automatically kicks in to augment the rider’s own pedaling power, no more struggling to pedal on hillsides. Lights are also a big feature on the Denny. Both its head and taillights switch on automatically via an ambient light sensor. Moreover, it is equipped with front signal lights activated by buttons adjacent to the brake levers and a brake light function within its tail light, much like a motorcycle. 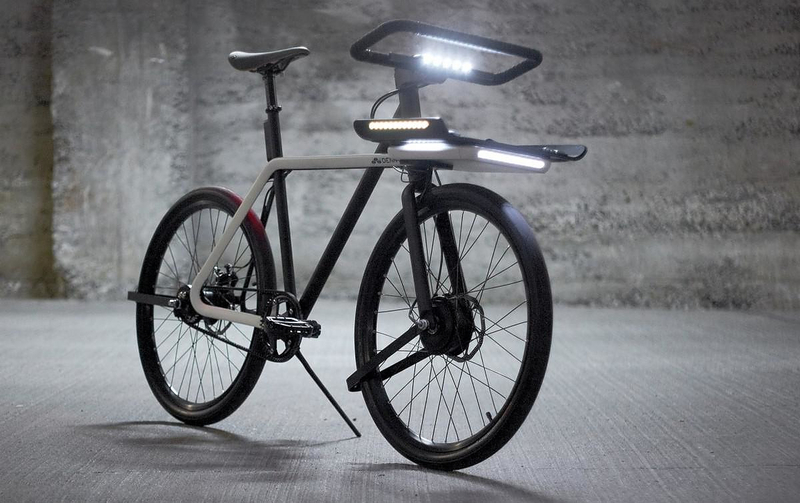 Finally there are multiple strips of LEDs, which illuminate the road ahead of and to either side of the bike. That last feature is mostly to help the Denny be seen by motorists, as opposed to aiding the cyclist in seeing the road, a much appreciate security feature. 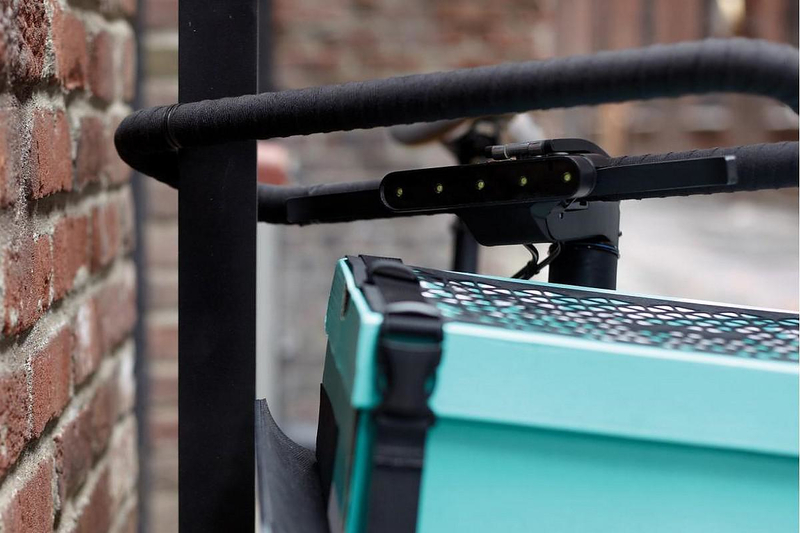 In place of the traditional “bike basket” Denny features a minimal and convenient rack for securing your belongings while riding, that also serves as a storing case for a rechargeable battery. The battery provides electricity to assist the pedal and light up the front lights (main light and daytime light). The Denny bike features a signature minimal design, with highlight the refreshing in design minimal fender. It is currently not in production, but as the winner of the project, we expect it to be sometime in the future. Other more common, yet notable, features of the Denny Bicycle include the use of a belt drive instead of a chain, and mechanical disc brakes. In our view this little gem is fair to say that it is not only the Ultimate Urban Commuter Bike but also the bicycle of the future. 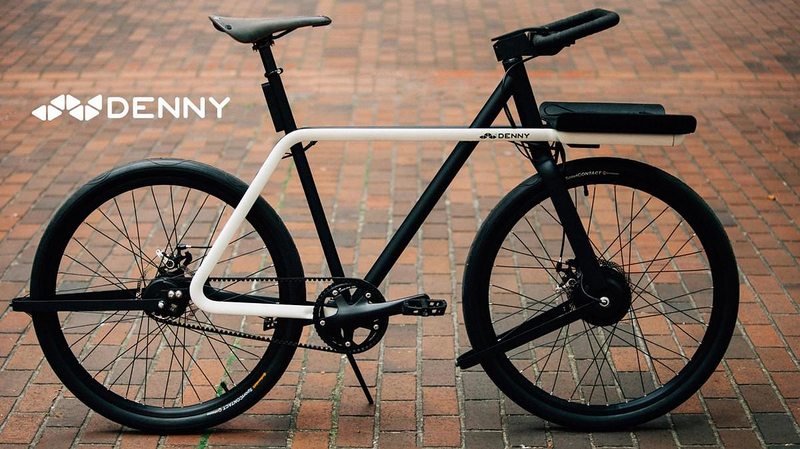 At present, the Denny Bicycle is in prototype stager, the Fuji-built commercial version should be available sometime next year, at a price that has yet to be determined, and we sincerely cannot wait to see it in production. In the meantime, you can see the prototype in use in the video below.